You guys know I love my ruffles! I shared a couple of shots of my girls in some cute embellished tank tops not too long ago, and saw some nice comments and emails asking for a tutorial. 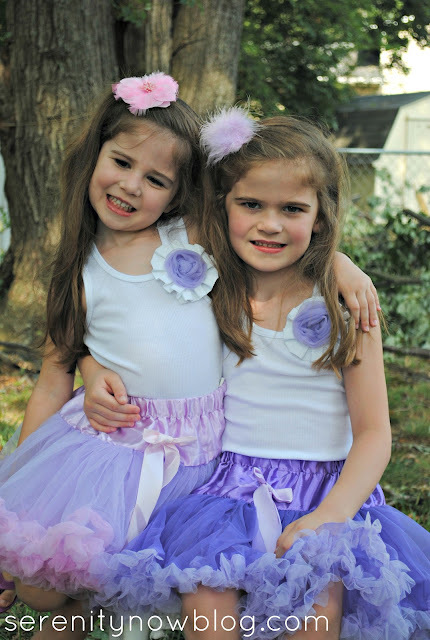 Natalie and Michaela Byrd love girlie girl outfits, and they flipped when they saw what I made for them. 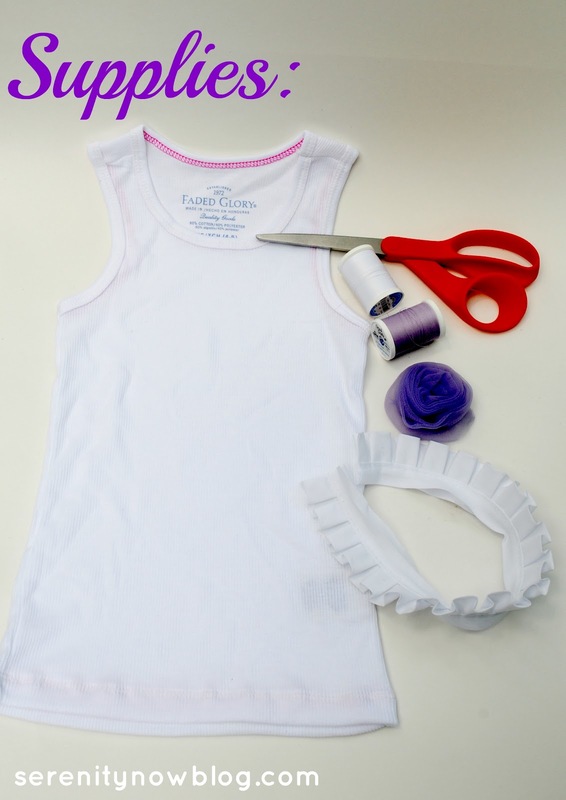 This project does not require a sewing machine, so any beginner can complete this simple sewing project! 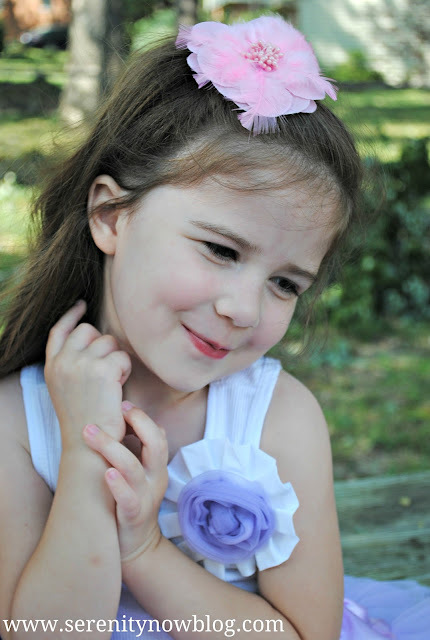 -Petti Flower (You can make your own, but I used the affordable pre-made option from The Hairbow Company). 1. 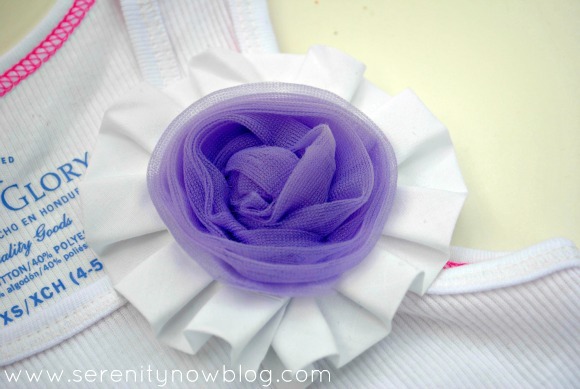 Cut a length of trim for the base of your fabric flower. The length will depend on how large you want your flower to be. There's no right or wrong. I played with it until it looked long enough to contrast in size to the petti flower. 2. Curve the trim around to make a circle with the ends slightly overlapping. It's okay if the trim bunches up in the center where the "donut hole" is. It will be covered up later. 3. Sew the ends together with matching thread. 4. Lay your base down flat on your work surface so you can see your ruffles. 5. 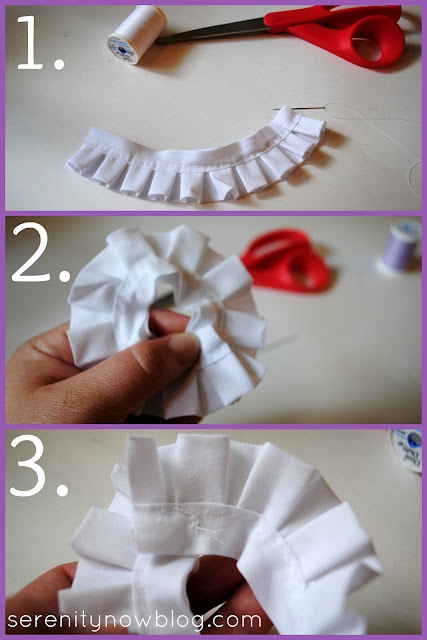 Layer the petti flower over the center of your ruffle base. 6. 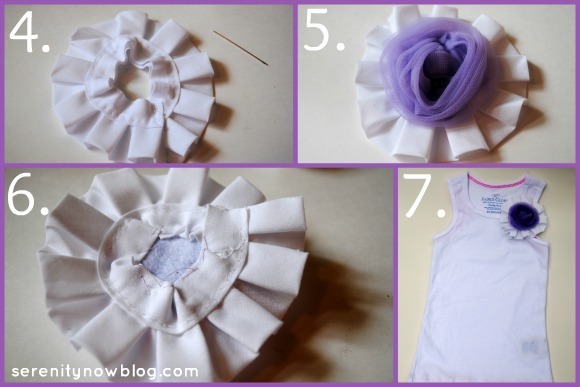 Using a thread that coordinates with your petti flower, hand sew the fower to the trim part of the ruffle base. 7. Choose a spot on your tank top and hand sew it firmly down. Now you have a lovely embellished tank top! They really looked adorable paired with the sweet pettiskirts that The Hairbow Company sent us. 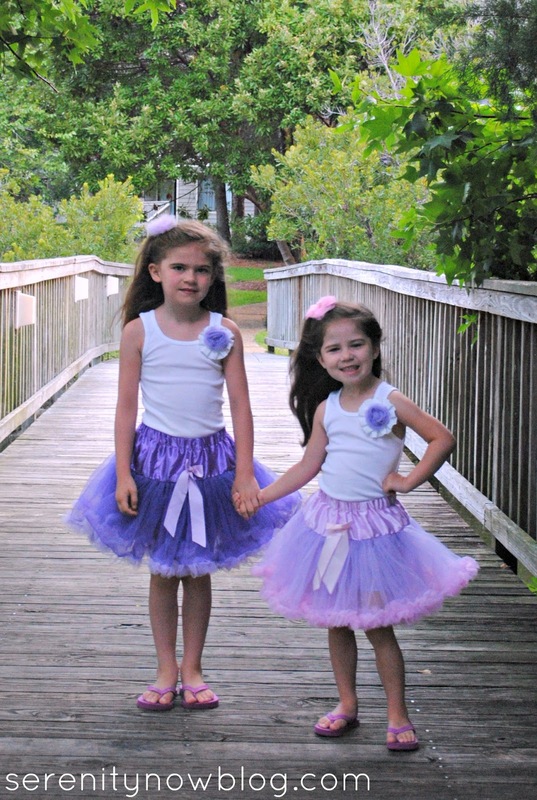 I even hauled the outfits (carefully) down to Myrtle Beach for a fun seaside photo shoot, and the girls got tons of compliments on their "little princess" outfits from early morning beach walkers. Have you done anything crafty lately? 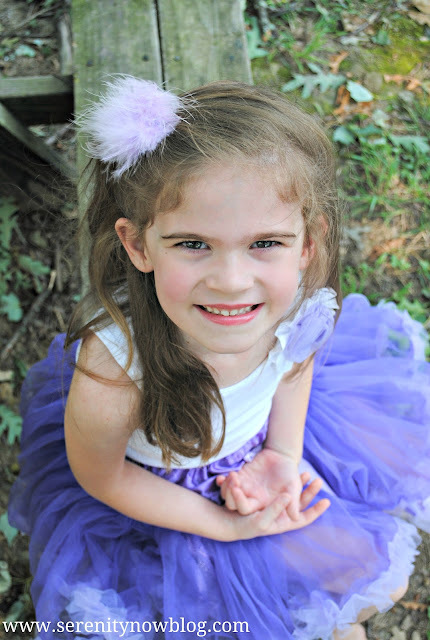 *The Hairbow Company sent me supplies to review and craft with, but I was not financially compensated for this post. All opinions are my own. Those are so cute. My daughter would love it and it really dresses up a plain T. You could even add a pin to the back instead of sewing on the tank so you don't have to throw it in the wash. Thanks for sharing. Adorable! I like the previous comment about using a pin too. This craft would be very cute for an adult, too. A flower like you made would look cute on a jacket, purse, or headband. My wife just fell in love with this DIY project after I showed it to her. You've definitely scored another fan. Keep up the good work! Your girlies are super cute and so are their tanks! LOVE them! Absolutely, positively adorable. Love the embellished tanks! I'm thinking I could do something like that on a plain T-shirt for myself! Have you made any for yourself, or just for the girls? So pretty and feminine, Amanda. Such gorgeous photos, too! 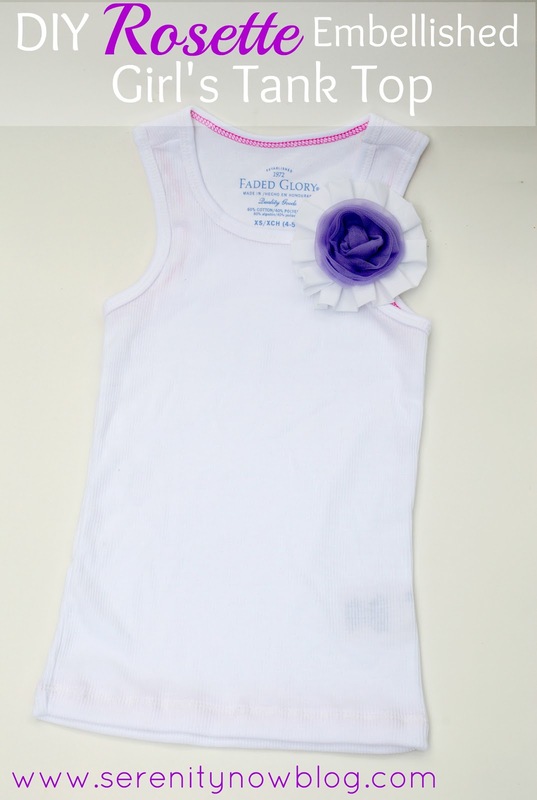 Very cute and adorable tank tops. Love love love.